UAE, 23rd October 2018: Dubai-based global incentives brand, the ENTERTAINER, has launched its 2019 products with unbeatable buy one get one free and discount offers across the UAE, as well as attractive bundle offers for even more value. The Dubai Bundle 2019 includes all five of the Dubai products (Dubai, Fine Dining, Cheers Dubai, Dubai Fitness and Dubai Body) and you can grab it now and save yourself up to 30% off with early purchasers paying just AED 782.25 (incl VAT). With over 10,900 buy one get one free and discount offers for the best restaurants, attractions, golf courses, spas, salons, bars, nightclubs, gyms, fitness classes, retail offers and much more – you’ll never have a quiet weekend again. Amazing new brands for this year include Nando’s, Bounce, La Serre, At.mosphere and Reel Cinemas to name a few. With every purchase of the Dubai Bundle 2019, members will also receive 2 x FREE 1 Day 2 Park Admission Plus Combo Meal (worth AED 700) for Dubai Parks & Resorts. 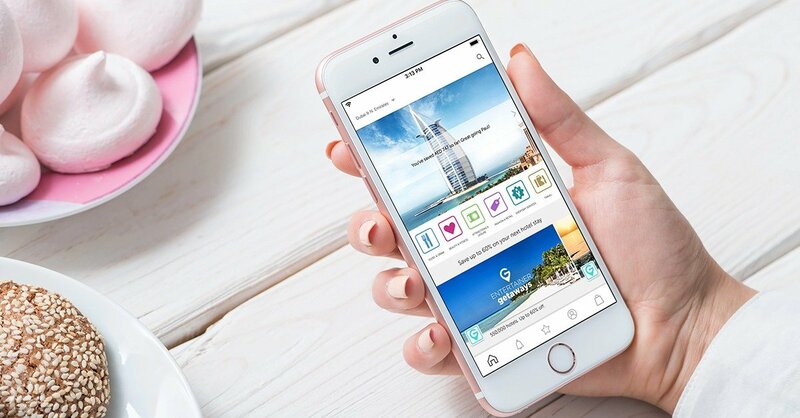 The Abu Dhabi Bundle 2019 includes three products (Abu Dhabi, Cheers Abu Dhabi and Abu Dhabi Body) giving members access to over 5,200 offers for the early bird deal of just AED 467.25 (incl VAT) – a saving of over AED 100. New merchants in Abu Dhabi include Café Bateel, Godiva Chocolatier and French Bakery. The 2019 products are also available to purchase individually through the website or the App at a special early bird price (for a limited time). As well as making savings of up to 30%, early purchasers will also benefit from immediate access to the current 2018 offers, meaning you can start enjoying incredible savings right away. Plus, existing ENTERTAINER members can use 500 Smiles to receive a greater discount off certain ENTERTAINER products when purchasing. “At the ENTERTAINER, we believe that experience is everything” says Donna Benton, Founder and Chairman of the ENTERTAINER. “With our 2019 products, we want to ensure that there is something for everyone and that our members receive incredible value at the most extensive range of outlets available”. Exclusive access to ENTERTAINER Travel, which includes discounts and seamless bookings through the App at over 550,000 hotels, as well as 2-for-1 offers on hotel stays – providing the best deals in the market. Access to ENTERTAINER Rewards – a shopping site with exclusive deals on a wide range of branded products and the chance to save even more by spending your ‘Smiles’ – the virtual currency earned by using the ENTERTAINER App. The platform will soon boast “money can’t buy” experiences, exclusive to members. ‘The ENTERTAINER’ App is available to download free on iOS or Android App stores. Purchase of all products includes access to ENTERTAINER Travel (2-for-1 and discount offers at over 550,000 hotels worldwide) and ENTERTAINER Rewards. Early Bird Offer – Save AED 245: AED 745 (AED 782.25 including VAT – RRP AED 990). Includes Dubai 2019, Fine Dining 2019, Cheers Dubai 2019, Dubai Body 2019 and Fitness 2019, giving members access to over 10,900 buy one get one free and money saving offers. Early Bird Offer – Save AED 100: AED 395 (AED 414.75 including VAT – RRP AED 495) with your choice of FREE product (Dubai Body 2019, Dubai Fitness 2019 or Cheers Dubai 2019). Over 4,200 buy one get one free and discount offers for dining, nightspots, attractions, leisure activities, retail and services. Top brands include Nando’s, Dubai Parks & Resorts, KidZania, Reel Cinemas, Shampooch, Emirates Driving Institute, Stadium and thousands more throughout Dubai. Early Bird Offer – Save AED 100: AED 395 (AED 414.75 including VAT – RRP AED 495) with your choice of FREE product (Dubai Body 2019, Dubai Fitness 2019 or Cheers Dubai 2019). Over 1,600 buy one get one free offers across some of the best restaurants in the city such as At.mosphere, Sean Connolly at the Dubai Opera, Al Iwan at Burj Al Arab, Asia Asia, STK, The Meat Co. and Fogo de Chao. Early Bird Offer – Save AED 145: AED 445 (AED 467.25 including VAT – RRP AED 590). Includes Abu Dhabi 2019, Cheers Abu Dhabi 2019 and Abu Dhabi Body 2019, giving members access to over 5,200 buy one get one free and discount offers. Early Bird Offer – Save AED 100: AED 395 (AED 414.75 including VAT – RRP AED 495) with your choice of FREE product (Cheers Abu Dhabi 2019 or Abu Dhabi Body 2019). Over 2,300 buy one get one free and discount offers for dining, attractions, leisure activities, retail and services. Top brands include Chili’s, Baskin Robbins, BurgerFuel, Loca, FabyLand, Spark’s Amusement, Magrabi, Dollar Rent A Car, Fast Fit, Chateau Blanc and hundreds more throughout Abu Dhabi. The full list of ENTERTAINER products in the UAE can be found on the website and App.